Tanner De Witt Partner Robin Darton will participate in the panel session “Cross-Border Insolvency in Practice” at the Debtwire Asia-Pacific Distressed Debt Forum 2017 on Thursday 1 June 2017. Also on the panel are Alister Berkeley (Special Situations & Restructuring Advisor, PwC), Theron Alldis (Sourcing, SC Lowy) and Sean Prior (Counsel, Mayer Brown JSM, Singapore). Tom Pugh (Partner, Mayer Brown JSM) will moderate. Debtwire’s Asia Pacific Distressed Debt Forum is a full day forum where industry experts will discuss the distressed debt trends and opportunities for investors across the Asia Pacific region. Robin has been practicing as a lawyer in Hong Kong for over 20 years. 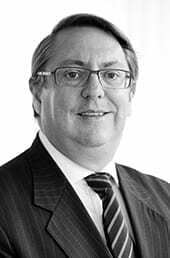 He has extensive experience in insolvency and restructuring matters, as well as litigation across a range of subjects. His experience includes acting for office-holders, creditors and debtors in winding-up proceedings; appointments of provisional liquidators; restructurings including schemes of arrangement with cross-border elements; claims against directors and auditors; and fraud and asset tracing claims. Robin is consistently ranked as a ‘Leading Lawyer’ for restructuring and insolvency in Hong Kong by various industry publications including Chambers Asia Pacific and Asia Pacific Legal 500.